Experience the beautiful Hoover Dam from the comfort of your RV. Located on the Colorado River, the Hoover Dam is a huge concrete dam that is on the border of Nevada and Arizona. It’s a place that attracts many visitors for its larger than life size. Bordering both the river and the dam is Lake Mead, a large lake that is known for its gorgeous mountain and canyon views while boating or jet skiing. To experience the most fun for all of these places, an RV park is a must. Located in Kingman AZ just minutes from the Hoover Dam and all of its attractions, Zuni RV Village is the place to stay. With pull through sites, amp hookups, a pool, and picnic tables, this RV campground is easy to love. After you finish admiring the dam, come kick back and relax. When you’re finished boating and skiing for the day, get some shut eye in the comfort of your second home. There’s nothing better than laying your head down in a place you’re familiar with, and RVs give you a chance to experience the scenery like none other. 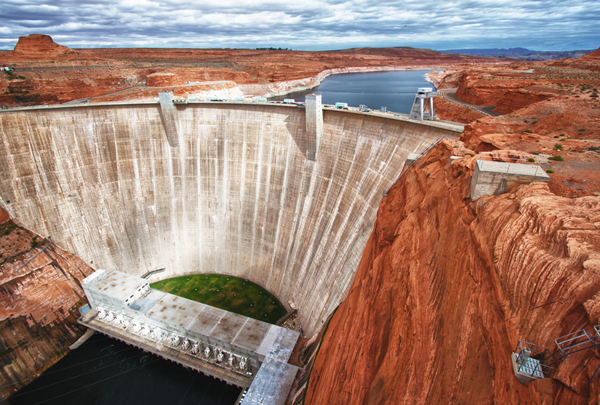 When you’re visiting Hoover Dam, make Zuni RV Park your first stop. See the wondrous Hoover Dam from the comfort of your RV. Get the best experience by staying with us when visiting Hoover Dam. Are you Looking for Comfortable RV Campgrounds? | Zuni Village RV Park on Are you Looking for Comfortable RV Campgrounds?